Of life, of crown, of Queen at once dispatched. These two sets of lines are obviously similar, even in their poetical structure; each line of each pair contains ten syllables or beats, achieving the same rhythm. And the similarities continue. The first set is spoken by the Ghost of Prince Hamlet’s father, King Hamlet, who is telling his son how the current monarch, King Claudius, murdered him and stole not only his life but both his crown and his widowed queen. In the second set, from the so-called Bath sonnets at the end of the sequence, the poet refers to “the General of hot desire,” who is also “Cupid” and “the boy” (Sonnet 153) as well as “the little Love-God” (Sonnet 154); and this boy-spirit has been “disarmed” or rendered unable to defend himself. The overall similarity of “sleeping by a brother’s hand” and “sleeping by a Virgin hand” is even more striking in light of the fact that Shakespeare loves to depict a monarch’s “hand” as the agent of his or her rule, as when King Louis of France [1423-1483] in 3 Henry VI tells Queen Margaret: “Yet shall you have all kindness at my hand…” (3.3.149). Katherine Duncan-Jones writes in the Arden edition of the Sonnets that Shakespeare “allows for a possibility that Cupid’s assailant is Diana herself.” In that case, the “boy” or “Cupid” of this unified masterwork is the so-called fair youth, Henry Wriothesely, third Earl of Southampton, whose assailant is Queen Elizabeth herself. For what I believe is the only coherent explanation of this reading, we must move into the realm of the so-called Prince Tudor theory — the conclusion that Southampton was Oxford’s own son by the Queen, born in May or June of 1574. 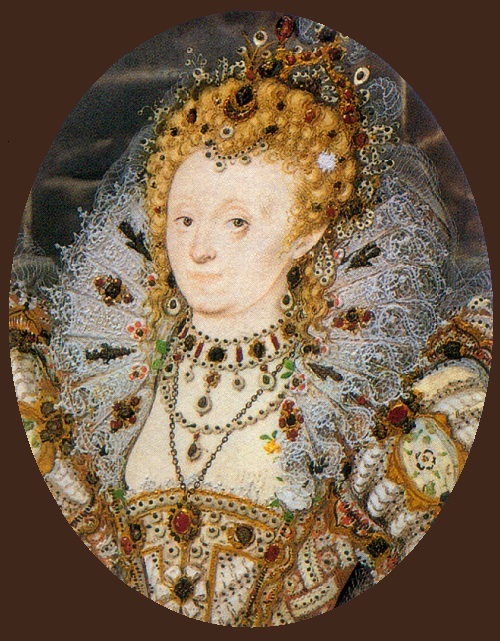 In that realm, the two Bath sonnets of 153-154 refer to the one and only visit of Elizabeth and her court to the City of Bath, which occurred in August of her 1574 summer progress, when Oxford was traveling with her; and then we are presented with an allegorical representation of the Queen’s negative or “dark” attitude toward her royal son, who had been born just months before. A powerful argument, logically and linguistically. I would only add that “fair youth” is a subtle pun: fair for Vere in the French pronunciation; and youth as a phonetic cue to Ee-oo-th, i.e., a reference to the fair youth’s parentage, the (E)arl of (O)xford. Thanks for keeping up the scholarship with Concordia defunct and the list serves relatively quiescent. I don’t know what the “official” opinion is on the last two sonnets. The most famous Hungarian translation’s author wrote that these were not Shakespeare’s own poems, but translations from Greek. As he does quite often, “Shakespeare” uses some classical play or poem or whatever as a basic foundation upon which to build his own creation. Here, yes, these are two versions of the same ancient Greek epigram; they are not translations, but transformations. He has used them as “templates” for his own allegorical story. Thanks. I miss our more frequent conversations of the past. Happy spring, by the way. Hank, you are right and I’m very sorry. My only excuse might be that nevertheless you do know what I do: based on your work I follow a new road, but never forget you. As you can see in the SAQ_137 group (just today’s entry) I always find inspiration in The Monument. I would like to meet you to discuss our adventures personally.